Be in the know about cocktails! Exciting cocktail recipes to try. Be inspired by our cocktail ideas. All the recipes discussed can be found on our Android and iPhone cocktail apps! 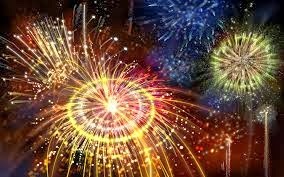 Be inspired with your drinks for your bonfire party! download our cocktail app for access to 100s of delicious cocktail to make your bonfire party to go with a bang. Downloads reach 1000 on our iPhone cocktail app. Great news! the iPhone version of our app has reached 1000 downloads on the iTunes store, and downloads are continuing to grow. So tell your family and friends about our app! and click the links to download. Introducing our cocktail app for both Android and Apple devices. 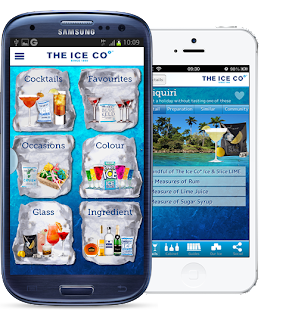 There are a number of existing cocktail apps in the market already, but we feel ours has the edge with our ice cool design and some fantastic features we are sure you will love our cocktail app and best of all it's free! Checkout the app on Google Play or iTunes. The direct links can be found on our landing page at theicecococktailbar.co.uk. The cocktail app has many great features, save your favourites, share with your friends. See below for a full list of features. Competitions to get your cocktail recipes into the app! Slap the mint leaves to release the flavour, rub them around the rim of the glass. Tear them once and drop them in the glass. Half fill the glass with The Ice Co ice crush and cut the lime into wedges. squeeze the juices of the lime into the glass and put the wedges in. Add the Bacardi rum and dash of soda and swizzle the long spoon to distribute the mint.